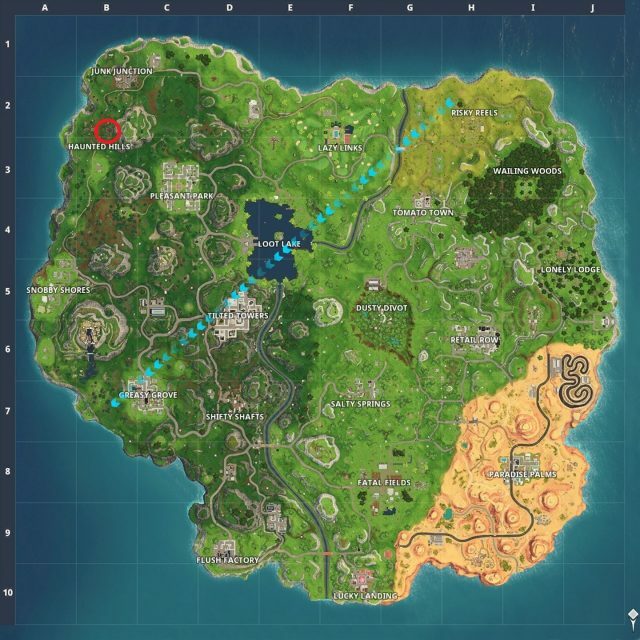 Fortnite Week 5 Snobby Shores Treasure Map Challenge: Where is the Treasure in Snobby Shores? It’s Fortnite Week 5 challenge time. 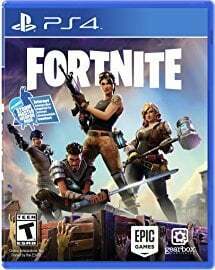 If you want to grab those Battle Stars as early as possible then you’re gonna need a helping hand. That’s the case again with this week’s Fortnite Snobby Shores Treasure Map challenge. 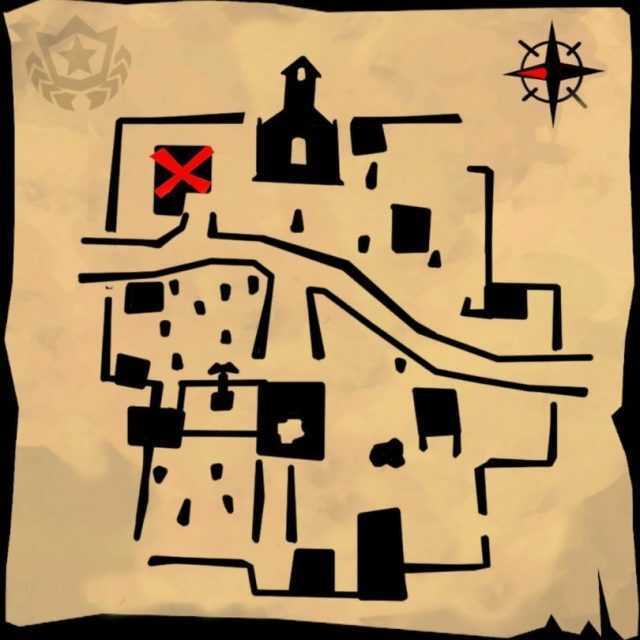 If you want to take the long route, we’ve laid out how to follow the treasure map found in Snobby Shores, as well as giving you the exact Snobby Shores treasure location for those short on time. Where is the Snobby Shores Treasure Map (Fortnite Week 5)? Unless you know Snobby Shores like the back of your hand, that’s a pretty peculiar map. It’s clear that it’s in the north-west of a certain area but not much else. Thankfully, we’ve managed to dig up the solution. Where Does the Snobby Shores Treasure Map Lead (Fortnite Week 5)? 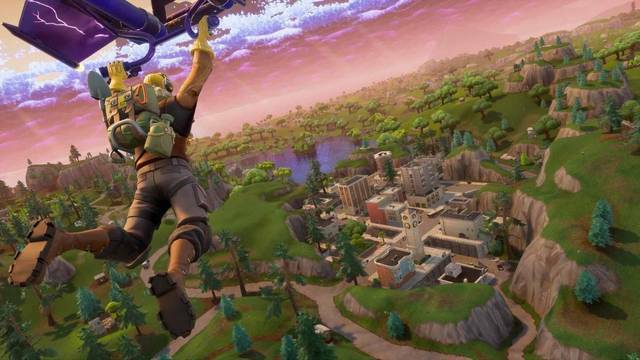 To find the Snobby Shores treasure and tick off one of the seven Fortnite Week 5 Challenges in double-fast time, you’re going to want to head to the area marked on the map above. It’s in a little communal area just north of Haunted Hills. Once at the area just north of the “Haunted Hills” typeface on the in-game map, find the multi-storey chapel. It should be protruding out from the landscape like a sore thumb and, let’s face it, several players should already be crowding the area. If you’re facing the front of the chapel, head to the left and seek out the small building about ten paces from the chapel. Climb up to it by building a couple of ramps and, wouldn’t you just know it, the treasure is sat on the roof just waiting for you. Not only does collecting the Snobby Shores treasure grant you 10 Battle Stars, it’s also one of seven Week 5 challenges that need to be completed so you can unlock the Week 5 Secret Tier Battle Star for the Road Trip challenge.